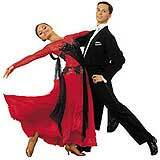 Special Offers: Broadway Dance Studio offers professional and fun Ballroom, Latin & Salsa classes. $130 per term for 2nd class. $30 for the Beginners term. $90 per term for the 2nd class. These special offers cannot be split or transferred between two or more people.